Friday Night Fights: Robot Wreckage! Busy, busy, busy, no time for cutesy intros, so here’s FRIDAY NIGHT FIGHTS! 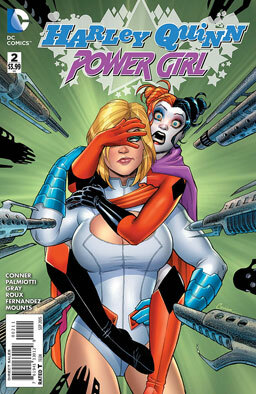 Tonight’s battle comes to us from February 2011’s Power Girl #19 by Judd Winick and Sami Basri, as PeeGee faces off against Ace, the robot powerhouse from the Royal Flush Gang. And that’s my second groin-injury FNF in as many weeks. Do I get a prize for that? 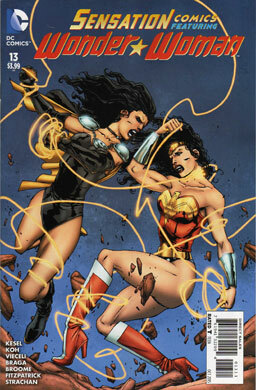 Friday Night Fights: Balance of Power! Well, alright then, it’s Friday, and that’s awesome. But it’s impossibly hot, and that’s not awesome. That’s so very not awesome. And there’s not a durn thing we can do about it, other than try to stay air conditioned and shaded and hydrated. But we can lessen the agony of all this heat with… FRIDAY NIGHT FIGHTS! 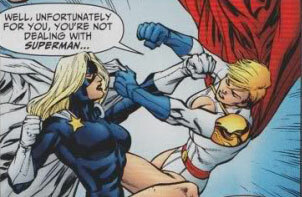 Tonight’s battle comes from January 2010’s Justice Society of America #33 by Bill Willingham, Matthew Sturges, and Jesus Merino, as Power Girl faces off against a villain called Blue Moon, whose strength waxes and wanes with the phases of the moon. That’ll do it for me. See you guys on Monday! Friday Night Fights: Power and Glory! Time to kick off a new round of Friday Night Fights? Let’s get things going with a classic. 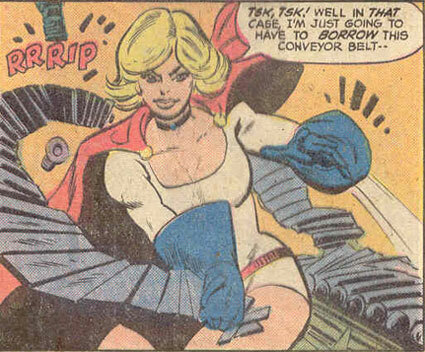 Tonight’s battle is from February 1978’s Showcase #97, by Paul Levitz, Joe Staton, and Joe Orlando. 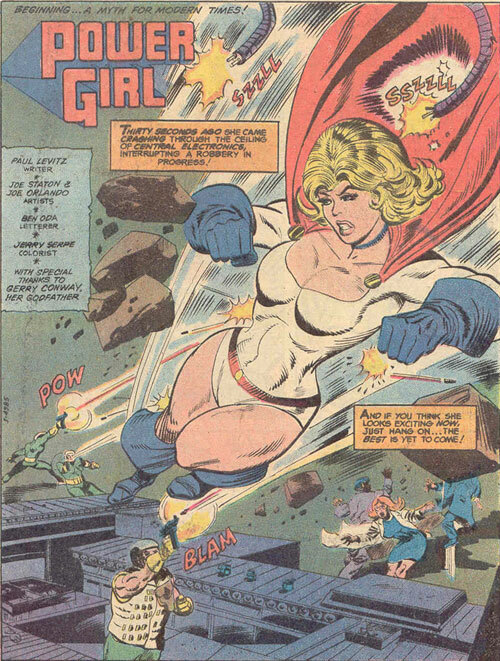 Power Girl vs. random thugs? I think we know who wins that one, right? Head over to Spacebooger’s joint and pick out your favorites! 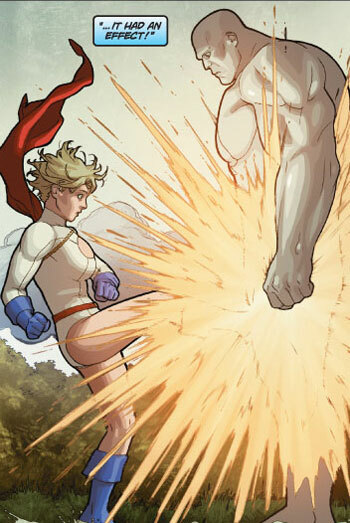 Friday Night Fights: Headbutt Power! 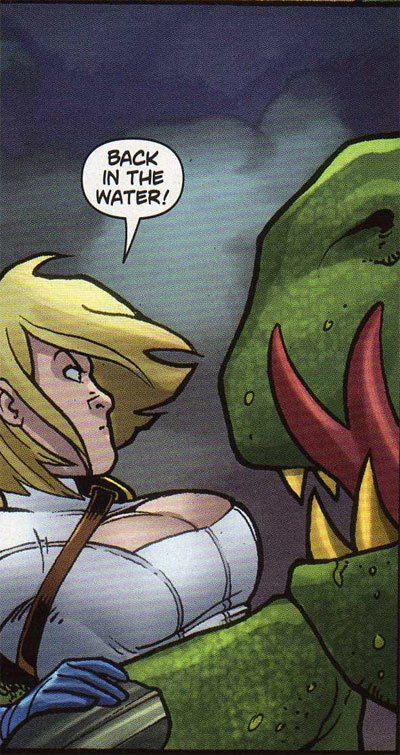 Let’s jump right into it — tonight’s edition of Friday Night Fights comes to us from October 2009’s Power Girl #4 by Justin Gray, Jimmy Palmiotti, and Amanda Conner, as Power Girl tangles with a giant lizard! There we go — see y’all again on Monday! 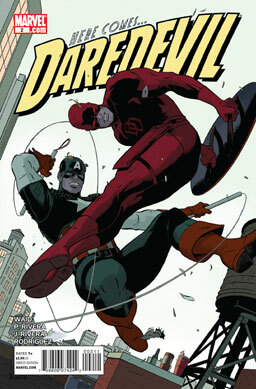 Daredevil finds himself under attack by Captain America, who wants to arrest him for various long-ago crimes. He manages to convince Cap that he was under someone else’s control during that time and tells him he needs to go prove a man’s innocence. Matt’s investigation soon uncovers evidence that all of Ahmed Jobrani’s previous attorneys had been threatened off his case, and when he learns that Jobrani planned to spend his settlement money to buy back his old electronics shop. 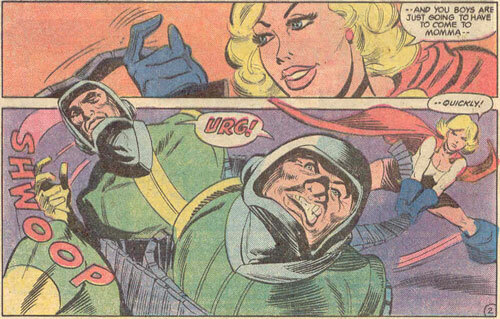 And when Daredevil goes there to look around, he finds the sonic-powered villain Klaw — but why are there so many of them? Verdict: Thumbs up. 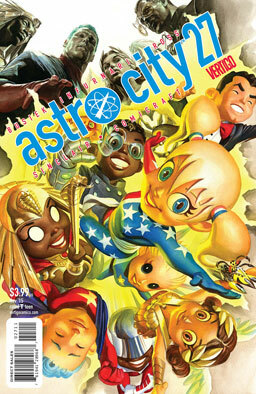 Top-notch superheroics and freakin’ awesome artwork by Paolo Rivea and Joe Rivera. 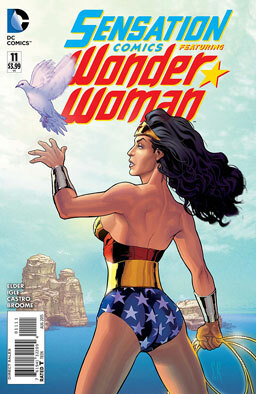 Love the dialogue and action, love the characterizations. 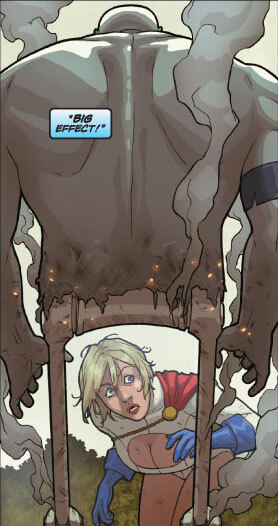 Did I mention how much I love the artwork? I just love the artwork. 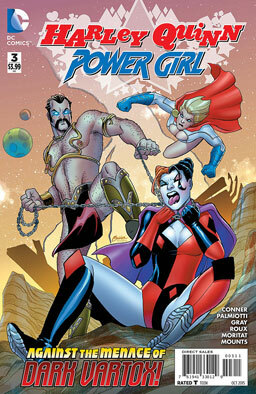 Final issue of this series. 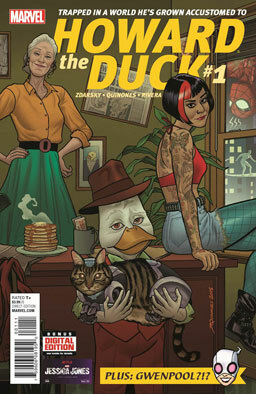 And I like the way we see a lot of elements of PeeGee’s older stories brought back, even if just for one issue. After beating up some robots who had been “programmed to reject stratagems from old “Star Trek” episodes,” (Noice one!) 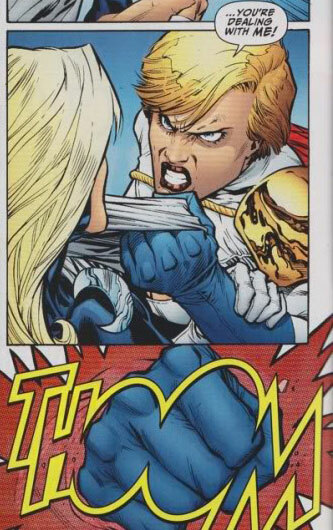 Power Girl discovers a holographic message written for her. 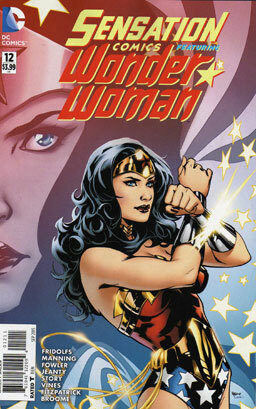 It warns that three dangerous situations have been set up — and she has only 60 seconds to deal with ’em. 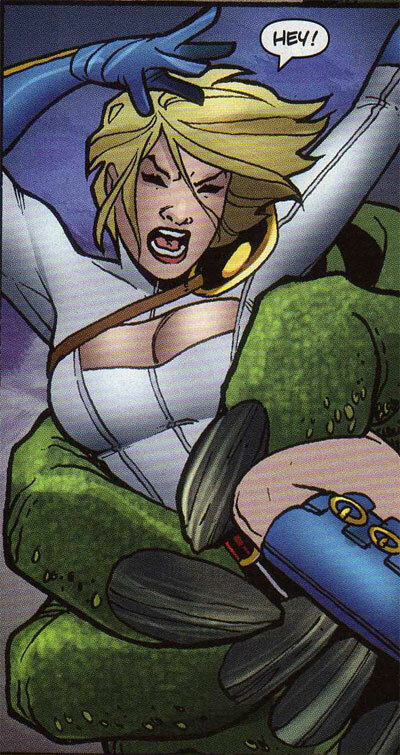 She has to rescue her JSA teammate Cyclone, keep a villain called Typhoon from killing a random little girl, and keep Da Bomb (from the awesomely funny JSA #39 in 2002) from wrecking the Leaning Tower of Pisa. 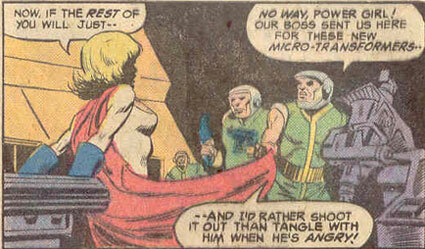 Can Kara save all those people in time and stop the bad guys behind the plot? Verdict: Thumbs up. 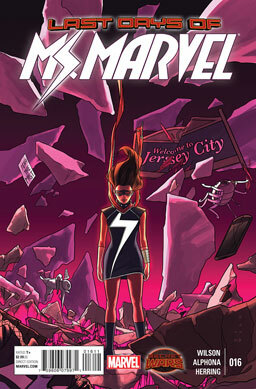 Not necessarily the farewell for the character and her awesome supporting cast that I would’ve preferred, but the story is good, the humor is excellent, the personalities are fun, and I had a good time reading it. 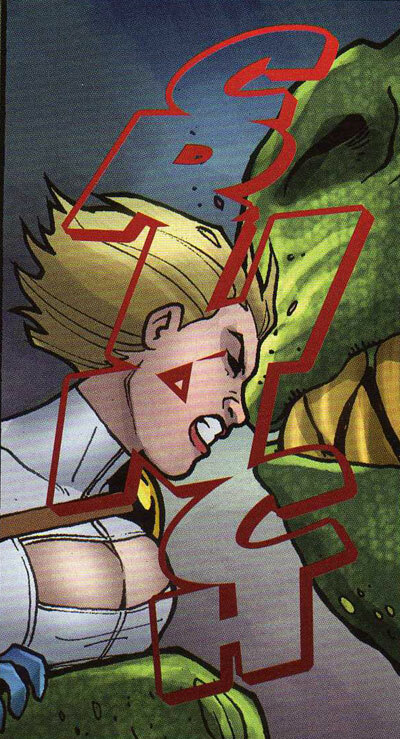 I would’ve liked seeing Terra or Vartox or her horrible, horrible cat — but I liked getting to see Da Bomb, who I always thought was hilarious. Zatanna hasn’t been getting enough sleep lately, thanks to all the shows she’s been performing. When she finally gets the chance at some extra shut-eye, she gets a visit from a magic-using kid named Uriah, from Limbo Town, the same place where Klarion the Witch-Boy hails from. Uriah says he wants to be Zatanna’s apprentice, but when she turns him down, he’s off like a shot exploring his way through Zee’s mansion ’til he finds her library. After he finds the magical Book of Maps, he leads her on a chase through a dozen alternate worlds. Will she be able to stop him before he causes some serious havoc? Floating inflatable remote-controlled fish? Okay, I’d like some of those. Cookie Monster + Tom Waits = Awesomeness. This may be the best set of engagement photos ever. And because we can’t have nothing but happy links all the time, here’s something about criminally abusive “Christian” youth homes that’ll make your blood boil.